Thank you to everyone who helped us celebrate our 2016 annual Can Do Luncheon on May 3rd at the CenturyLink Center. 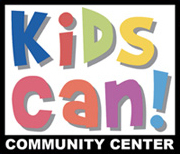 Kids Can has touched the lives of thousands of children and families who may otherwise not have access to quality educational services or childcare. Your support is extremely important because it provides resources that make an immediate impact in helping those who need it most. Stacey Bess taught kindergarten through sixth grade for 11 years at The School with No Name, an experience that effected a profound change in the teacher as well as her students. During that time she discovered that, by teaching and modeling love, self worth, personal power, and courage, she could reach children with no homes and little hope, children who had previously been labeled “unteachable.” These children grew into living proof that Bess’ methods work. To inspire and motivate others with a passion for service, Bess penned the memoir Nobody Don’t Love Nobody, which was adapted into the April 2011 Hallmark Hall of Fame movie Beyond the Blackboard starring Emily VanCamp. Congrats to our Raffle Winner! DISNEY WORLD PARK PASSES: Enjoy four Park Hopper tickets to Walt Disney World. Includes admission to the Magic Kingdom, Epcot, Disney’s Hollywood Studios & Disney’s Animal Kingdom - a $620 value! SOUTHWEST AIRLINES GIFT CARD: Fly to Orlando or anywhere, anytime with a $250 gift card to Southwest Airlines!